Reflex sympathetic dystrophy is a rare complex regional pain condition affecting the sympathetic nervous system that is characterized by severe and chronic pain, typically within the extremities. Reflex sympathetic dystrophy is also known as complex regional pain syndrome and may be accompanied by symptoms such as motor deficits and sensory problems. While the symptoms are typically focused within one area, in some cases, they may spread to other parts of the body as well. Typically, symptoms of painful swelling and redness, along with notable changes in skin temperature and sensitivity to touch or cold are experienced at the onset of the condition. Emotional stress has been found to exacerbate symptoms. Over time, reflex sympathetic dystrophy can lead to irreversible damage. Signs that typically indicate that the condition is immutable include, loss in skin color (skin appears pale), skin temperature feels cold, muscle spasms, and muscle tightening. Determining the exact cause of this pain syndrome can be difficult which makes it hard to treat at times, but nerve damage is typically believed to be responsible for the pain. Indeed, a procedure called a sympathetic nerve block has been shown to be effective at reducing the intensity of pain, thereby supporting the notion that this syndrome may be the result of nerve damage. Nerve damage that causes reflex sympathetic dystrophy is believed to be the result of conditions such as a heart attack, a stroke, a serious injury (e.g., spinal injury), or following surgery. These conditions are associated with excessive nerve inflammation and damage, which is believed to be the source of high levels of pain that do not correspond to the severity of the underlying injury or condition. The neurological system believed to be associated with complex regional pain is thesympathetic nervous system. Moreover, when the small nerve fibers that transmit information with blood vessels are damaged, they become overactive, leading to inflammation of the nerve along with disruption to the blood vessel, such as dilation, constriction, or leaking fluid into surrounding tissue. Blood vessel changes within the affected limb may also lead to symptoms. Muscles surrounding the affected blood vessels can became deprived of oxygen leading to muscle damage and pain, as well as joint pain. While a very large majority of reflex sympathetic dystrophy cases have an identified trauma or injury that is believed to be the cause of symptoms, some cases do not have an identifiable injury or trauma. The most common injuries include fractures, sprains or strains, injuries to the soft tissue (e.g., bruises or cuts), immobilization of a limb, or injury resulting from surgery or other medical procedures. Indeed, cases of reflex sympathetic dystrophy occurring without an identified trauma or injury are quite rare. It is believed that these cases are likely linked with an unknown underlying condition, such as an infection, blood vessel problem, or nerve entrapment. There is very limited data to suggest that reflex sympathetic dystrophy has a genetic component. Moreover, there have been very few reports of reflex sympathetic dystrophy cases occurring among members of the same family. Patients who present with early onset symptoms of reflex sympathetic dystrophy may alleviate their symptoms of poor circulation, inflexibility, muscle stiffness, and loss of muscle tone by doing physical therapy. Many patients who complete physical therapy early in the course of the condition may be able to prevent or even reverse some secondary changes in the brain that have been found to be linked to chronic pain. 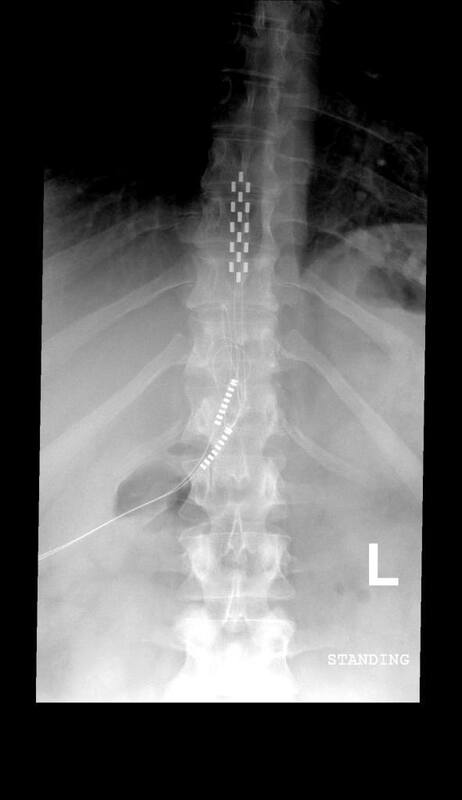 Patients may also experience a reduction in pain with spinal cord stimulation. 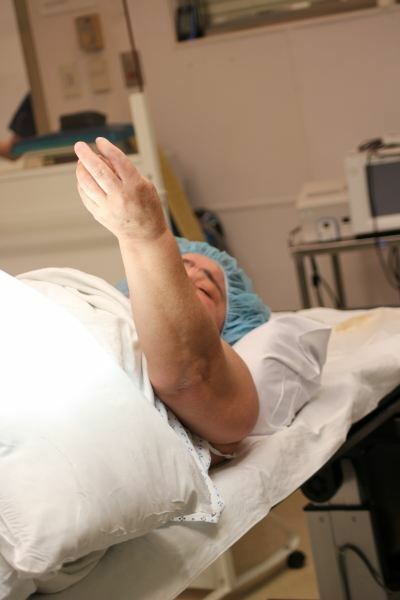 This procedure involves implanting a device near the spinal column that delivers electrical impulses to control the transmission of pain signals from the nerves within the spine. Intrathecal pump implants can also provide patients with pain relief. This device pumps pain-relieving medications directly to the area surrounding the spinal cord. In terms of alternative techniques, biofeedback training has received support for helping patients manage their symptoms of pain. This treatment involves teaching patients relaxation and coping skills, thereby allowing them to gain some control over their own symptoms of pain. Other alternative techniques, including acupuncture, are also thought to be beneficial for symptoms associated with reflex sympathetic dystrophy. In regard to pharmacotherapy, there are currently no medications that have been approved for the treatment of complex regional pain, though several medications are believed to provide patients with some pain relief. A non-steroidal anti-inflammatory drug (NSAID) may help patients who are experiencing moderate pain. These medications are recommended because of their ability to reduce inflammation of the affected area that is associated with the pain. Oral corticosteroids, such as prednisone and cortisone, may also be recommended to reduce pain and inflammation of the affected area. Some medications that were originally developed to alleviate symptoms of depression have also been show to be effective for neuropathic pain. Reflex sympathetic dystrophy is a result of dysfunction in the sympathetic nervous system that causes chronic and severe pain in the limbs. In a large majority of cases of reflex sympathetic dystrophy, a history of injury or trauma can be linked with the onset of symptoms; however, in some cases there is no identifiable cause. There are a number of treatment options available for managing the symptoms of reflex sympathetic dystrophy. Patients are encouraged to speak with their physician about the course of their condition in order to determine the treatment plan that is right for them. Borchers AT, Gershwin ME. Reflex sympathetic dystrophy: A comprehensive and critical review. Autoimmun Rev. 2013;13:[Epub ahead of print]. Di Pietro F, McAuley JH, Parkitny L, Lotze M, Wand BM, Moseley GL, Stanton TR. Primary motor cortex function in reflex sympathetic dystrophy: A systematic review and meta-analysis. J Pain. 2013;14(11):1270-88. Harden RN, Oaklander AL, Burton AW, et al. Reflex Sympathetic Dystrophy Syndrome Association. Reflex sympathetic dystrophy: practical diagnostic and treatment guidelines, 4th edition. Pain Med. 2013;14(2):180-229. Hauser J, Hsu B, Nader ND. Inflammatory processes in reflex sympathetic dystrophy. Immunol Invest. 2013;42(4):263-72. Pertoldi S, Di Benedetto P. Shoulder-hand syndrome after stroke: A reflex sympatheticdystrophy. Eura Medicophys. 2005;41(4):283-92. Database Syst. Rev. 2013;19(8):[Epub ahead of print].